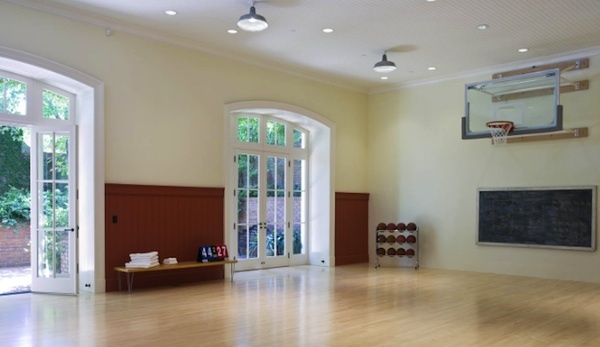 Pacific Heights is full of grand mansions- this is probably the only one with an indoor sports court with French doors to a terrace. No word on whether it has an electronic scoreboard. All this, plus bullet-proof windows, can be yours for $32M. The Basics: Seven bedrooms, seven full bathrooms, four half-baths, plus two family rooms, two offices, two kitchens, three rooftop terraces, an elevator, and side-by-side garage parking for two cars. And yes, bullet-proof windows. Not So Basic: Where once was a mere basement, there’s now a a basketball/sport court. Actually, much more than that. The original 1910 house was rebuilt inside and out, or as the realtor puts it “re-scripted” in 2002. Along with new interiors, an entire new level was added over the roof to accommodate the owner’s offices and casual entertaining spaces (with that second kitchen) with terraces. Below: “her” bath, plus the entrance to the master bedroom, which was once a library. Note the Mariano Fortuny hanging light fixture and sconces. All together, a swell house. And seriously, there’s much more at the realtor’s dedicated site (click on the link below) including floor plans and complete specifications. The penthouse is the size of many suburban ranch houses, just with better views. Probably one of the best online presentations ever, and totally persuasive. 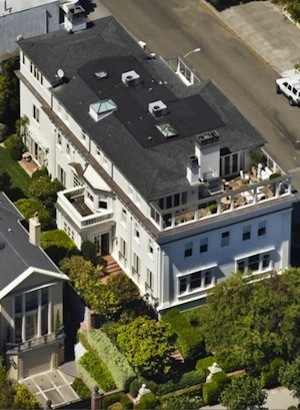 For once, a $32M house that’s actually worth it. To see the original California Home + Design article, click here. For many U.S. residents burned by the housing bust, the notion that real estate can not only tread water but actually increase in value might seem a fairy tale. It’s not. A Businessweek.com analysis of home sales data from the National Association of Realtors shows that in 18 of the nation’s 25 biggest metro areas, home prices grew in value between 1990 and 2010. In one area the change in real dollar price was as much as 85 percent, a return applying only to those who bought homes as a long-term investment, not for easy money flipping real estate. Seven of these metros lost value—generally the result of overbuilding during the real estate boom. Despite recent housing woes, real estate remains one of the best investments the average American can make. And unlike a stock certificate, it provides a place to live. Notwithstanding recent declines, Portland area home prices (adjusted for inflation) remain significantly higher than 1990 levels. The median price rose quickly from 2004 through 2007, peaked at about $311,000 (in 2010 dollars) in 2007, and has since dropped by about 22 percent. 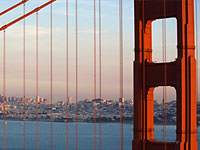 Moody’s Economy.com and Fiserv predict prices will reach their trough in fourth-quarter 2011. 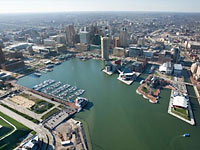 From 2000 through 2005, Baltimore area home prices skyrocketed. The growth rate in nominal prices increased from 3.4 percent year-on-year in 2001 to 20.6 percent in 2004 and 22.3 percent in 2005, according to price data from the National Association of Realtors. 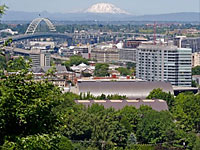 In 2007, the median home price peaked at $301,412 (in 2010 dollars). Since then, prices have fallen about 14.7 percent. 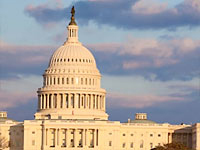 While well above 1990 levels, prices are expected to continue falling and should bottom in third-quarter 2011, predict Fiserv and Moody’s Economy.com. Metro Denver housing prices grew fastest from 1999 through 2001, when nominal prices increased at double-digit rates, according to a report by the Metro Denver Economic Development Corp., a regional economic development group. Since reaching a peak in 2006 at $270,340 (in 2010 dollars), the median home price has fallen nearly 11.8 percent in real terms. 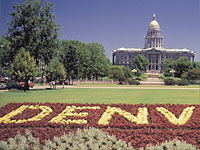 Moody’s Economy.com and Fiserv expect prices in Denver to reach a trough in third-quarter 2011. 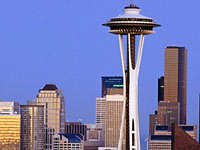 Home prices in Seattle have grown significantly over the last 20 years. The metro area’s housing market exploded in the late 1990s as the population grew. Nominal price increases slowed in 2002 and 2003, but jumped to 19 percent in 2004, 11 percent in 2005, and 14 percent in 2006, show NAR data. Prices peaked in 2007 at $407,607 (in 2010 dollars). Adjusted for inflation, prices are now about 24.4 percent below that level. 5. 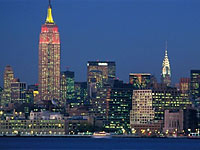 New York-Northern New Jersey-Long Island, N.Y.-N.J.-Pa. Inflation-adjusted home prices in metro New York were stable through most of the 1990s and started rising rapidly in the early 2000s. The median sale price peaked in 2007 at $494,840 (in 2010 dollars)—about 73.6 percent above 1990 levels in real terms—and has since dropped by about 18.3 percent. Fiserv and Moody’s Economy.com expect prices in the area to bottom in 2011. 6. Miami-Fort Lauderdale-Pompano Beach, Fla.
Metro Miami home sale prices soared for years, growing by 164.4 percent from 1990 through 2006 in real dollars. In recent years, however, nominal prices dropped quickly, coming down 22 percent year-on-year in 2008 and 25.9 percent in 2009. 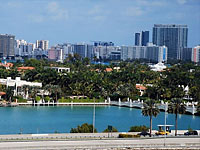 In third-quarter 2010, Miami had the country’s seventh-highest metro foreclosure rate, at 2.42, according to RealtyTrac. Fiserv and Moody’s Economy.com do not expect the Miami market to reach its trough until 2012. Washington area home sale prices grew by nearly 90 percent in real terms between 1990 and 2006, when they peaked at $467,000 (in 2010 dollars). They have since fallen 27.5 percent and Fiserv and Moody’s Economy.com expect continued decreases in 2011. Still, the area remains one of the country’s strongest metro economies because government staffing demand keeps unemployment low. “Metro Boston’s housing market was affected by the real estate bubble earlier—and less severely— than other metro areas around the country” and sale price declines have brought homes to historic affordability levels, according to a 2009 paper by the Concord Group, a real estate consultancy. Prices peaked in 2005 at $462,160 (in 2010 dollars) and have since dropped a total of 20.7 percent. Despite the fall, home sale prices have still increased in real dollars over the last 20 years. San Francisco housing prices rose in the 1990s during the tech boom. In the past decade, the fastest growth occurred in 2004 and 2005, when nominal prices increased by 15 percent and 11.5 percent, respectively. In 2007, prices peaked at $847,873 (in 2010 dollars). While prices are now 30.5 percent below peak, they remain well above 1990 rates and have been increasing recently. 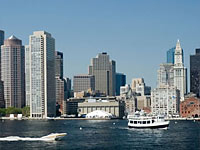 In third-quarter 2010, the nominal median sale price was up 9.4 percent year-on-year, according to data from the NAR. While home prices shot up and then plunged over the last decade in most parts of the country, the Houston market has been stable: The greatest fluctuation in the last decade was an 8.5 percent year-on-year nominal price increase in 2002. 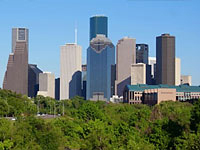 A recent survey by the Brookings Institution and the London School of Economics and Political Science ranks Houston fifteenth among U.S. metros for recovery from the recession, reported the Houston Chronicle. The New Year is a great time to step back and take a look at how things are going and make some decisions for going forward. In the real estate and property management world, it is especially true in my opinion. And when it comes to managing ones own residential rental properties, I speak from personal experience. Having owned a large Oakland Hills home for eleven years that has been leased for a number of years, I was tired of managing my own property. There was always something to be tended to and it was a chore. I felt guilty feeling that way. 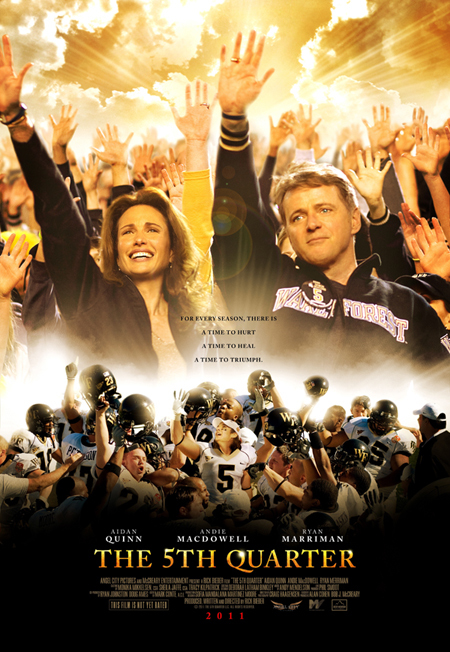 Plus given my profession, it was about “the shoemaker’s son who had no shoes” or so it seemed. I had to make myself do it. Funny thing though – I enjoy working on other owners’ properties. 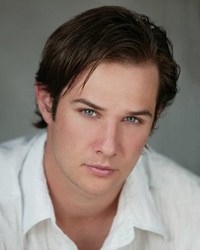 I feel an immense sense of accomplish as delivering timely, professional, quality service. I enjoy the interactions with tenants, landlords, and service providers. It is a business custom made for me as a former executive in customer service consulting. Our focus is clear: find out what landlords want and need to feel to make owning their properties satisfying. At Caldecott, we specialize in giving landlords the support they need and often don’t get. I call it peace of mind. From market assessment to coordinating the leasing process to building and maintaining healthy, positive tenant relations, to responsible, quality maintenance of the property and its subsequent enhanced market value in the longer term, we provide second to none service. That means communicating to parties in an honest and transparent way. Sure, we’ve had our moments and we own up to them. It’s the right thing to do. So, are you tired of managing your own properties yet? If you have a condo, loft and single family home in the Oakland/Piedmont/Berkeley corridor of the East Bay, check us out to kick start the conversation that you keep having with yourself every year. This year can be different. Click here for more information about Caldecott’s Property Management. How do you think the Housing Market will look in 2011?